IEBC Voter verification portal is released. Verify Online, Check now if you are in the register using the link below. - Bana Kenya News, Real African Network Tubanane. 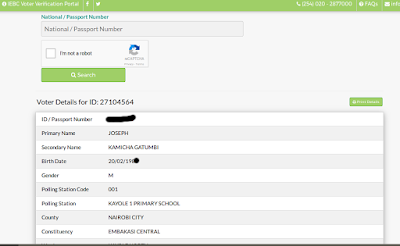 Home featured Nairobi IEBC Voter verification portal is released. Verify Online, Check now if you are in the register using the link below. 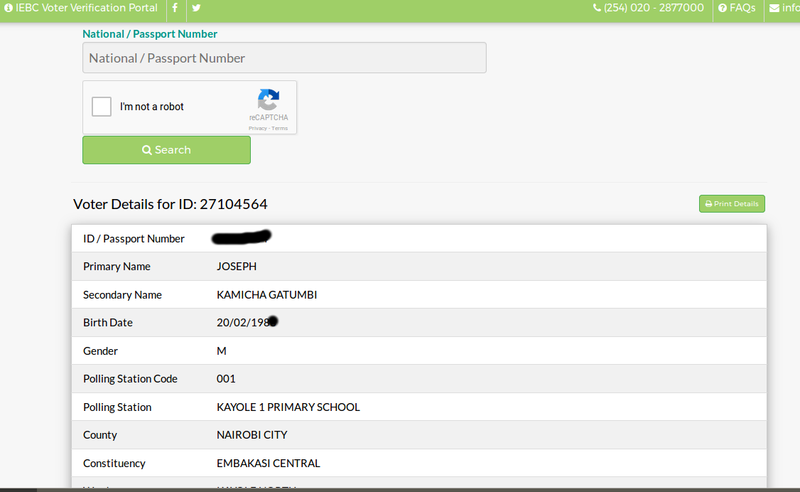 IEBC Voter verification portal is released. Verify Online, Check now if you are in the register using the link below. The IEBC has offered an alternative method of checking voter registration details instead of the SSD texting method. The Commission has unveiled what is the register, for those who will be online. IEBC has urged people to check their details online at the IEBC website under voter status sub-section. (Or click link below)The register will be available at the polling stations two weeks to the elections. Click this link: Verify here. This comes after a section of opposition supporters alleged the IEBC being reluctant as there are dead voters are still on the register. The Supporters also claim that the IEBC returning officers were not scrutinized during the vetting process and a tribalism played a major role. The opposition also argued that the majority of the Returning officers were from on two main Kenyan tribes. The allegations were later dismissed by IEBC. The opposition also urged the IEBC to publish all the names of the county returning officers countrywide. " The only way we will believe that there is no tribalism in the IEBC returning officers hire is when the names of the 47 county officers are published with their respective counties." an official claimed.